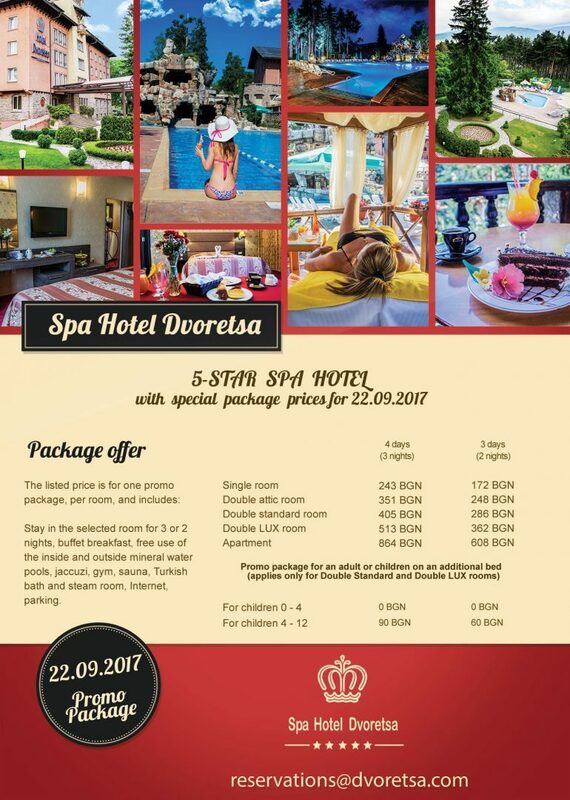 Visit Spa Hotel Dvoretsa on September 22nd with our special promo packages. Relax with near the mineral water pool, enjoy the clean mountain air, and unwind with a SPA procedure. The promo package includes: buffet breakfast, free access to the indoors and outdoors mineral water pools, outside jacuzzi, cold/hot pools, sauna, Turkish bath, steam room, free parking, and WiFi.